and I did not want to clutter it with a bunch of radios. I normally prefer commercial rigs like Hytera and Motorola, but this radio was intriguing. According to website not restricted to Ham Frequencies – although not specifically advertised as Part 90 approved yet either. Optimistic for an approval. I have need for ’90 frequencies. Remote head cable is CAT 5 ethernet. Easy to customize. 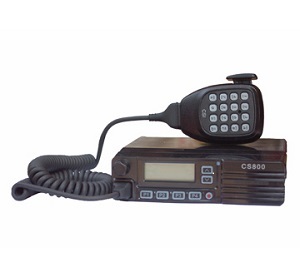 DMR ID is for each channel or for radio as a whole. Not (yet) Part 90 – staying optimistic. Display is small and absolutely minimalistic. Typically not ham, but ok for biz use. Controls feels cheap, but it is a ham radio (have to remind myself). DMR audio is not balanced with analog audio – even after adjusting setup. Audio from a channel in scan list is different than when channel selected. Zone limited to 16 channels. However, same problem with my other biz-band radios. Audio is “tinny” from a small speaker. Little or no acoustic finesse in design. CSI Websites is borderline misleading. 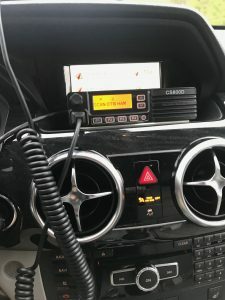 All programming takes place through the typical computer program we have seen for so many of the DMR radios. It is functional, but lacks a few convenience items. I program frequencies and the radio itself via the CPS. I use Contact Manager for all the DMR Contacts. I keep the basic file small while I work on the basic setup. Then I add contacts (100k+ callsigns) and upload to radio. Editing the completed file with contacts is to slow on my computer. For my use I still hope this will be the low-cost “swiss army-knife” of a radio that will cover 90%+ needs for ham, town volunteer services and my biz band frequencies, but not yet. Always optimistic! Would I buy it again? With a part 90 certification, hands down. Until that time? ?